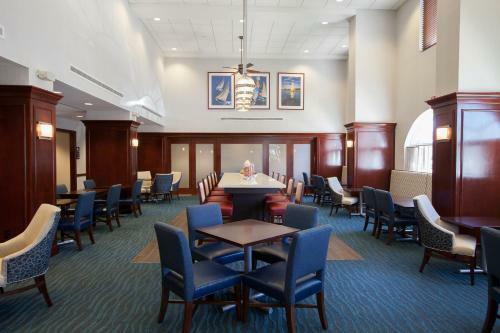 Located only 3.2 km from Newport's shops, harbor and mansions, this Middletown, Rhode Island hotel offers contemporary amenities such as free high-speed internet access. The Hampton Inn & Suites Middletown features an indoor swimming pool with whirlpool. Guests will also enjoy the on-site fitness centre as well as the well-equipped business centre. Guests at the Middletown Hampton Inn may wake up to a free continental breakfast every morning. For lunch and dinner, visitors can enjoy American cuisine in the adjacent Applebee's restaurant. 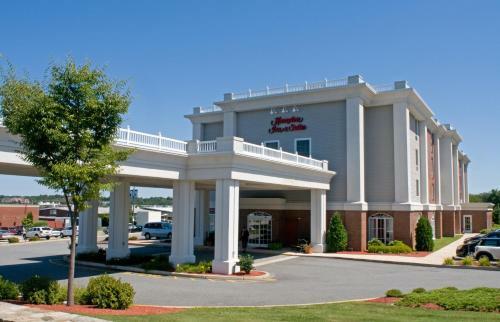 the hotel Hampton Inn & Suites Middletown so we can give you detailed rates for the rooms in the desired period.